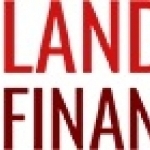 Landmark Financial is a full service, private client, stockbroking business for both individual and corporate clients. The company’s expertise has been developed and honed through all cycles of the investment markets and the overall economy. Our core team specializes in providing personal and professional service to private clients – and have been providing offshore investment advice for many years. We pride ourselves on being small enough to really care about our clients, yet big enough to offer great service. We are dedicated to providing the best financial advice with no strings attached, meeting the needs of all clients ranging from the smaller investor, to the retiree, to the large investor. Over our trading years we have developed a complete range of investment solutions that can been individually tailored to our clients’ needs. We are pleasingly gratified to know that we our building a reputation for being approachable, dependable and developing lasting relationships with our clients.